Thank you for your interest in volunteering for the Ann Bancroft Foundation! 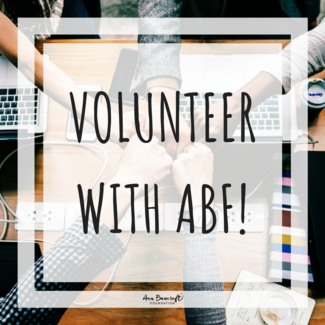 There are multiple ways you can get involved to support ABF's mission to help Minnesota girls realize their dreams. These are our upcoming events. You can read more about our volunteer opportunities on our website. Please make sure you fill out our volunteer application form before signing up so we have your contact information! If you have questions about volunteering, please email us at [email protected]. Arrive half an hour before doors open for set-up and stay at the ABF table during half time. Volunteers can pack up the table and leave after half time. You can sign up for one of these times or email us if you are available another time during the week. You can generally come to the office anytime between 10 and 5, Monday through Friday. Support may include help with mailings, organizing, and data entry.